Every two weeks, Big Issues focuses on newly released comic books of significance. This week, they are the debut titles from TKO Studios: The Fearsome Doctor Fang, Goodnight Paradise, Sara, and The 7 Deadly Sins. These four books showcase the high level of craft that bolsters the company’s mission to shepherd new publication and distribution models. Every year there’s a new crop of comic publishers trying to carve out a place for themselves in a crowded landscape, but very few of them are experimenting with new strategies to help them stand out. So when TKO Studios debuted at the end of last year with some genuinely ambitious ideas for publishing and distribution, the industry took notice. TKO says it wants to be “the first modern comic book company,” meaning it wants to create a publishing and distribution model that is tailored to how contemporary audiences engage with media. In regards to publishing, TKO is experimenting with a binge-reading model, giving readers complete six-issue stories all at once in three different formats: digital copies, box sets of single issues, and paperback collections. The first issues of each series are all available to download on TKO’s website, making it easier to commit to the multi-issue model by giving readers and retailers a free sample. TKO’s CEO and co-publisher, Salvatore Simeone, comes from the world of tech start-ups, and while the details of TKO’s seed money aren’t public, the company has enough funding that it can handle distribution itself and bring in big-name creators for its titles. The distribution angle is perhaps the most intriguing. Diamond Comic Distributors has a monopoly on distribution to comic-book shops, and that causes a lot of problems. Publishers have to solicit their wares at least three months ahead of time to get in Diamond’s Previews catalog, which means that retailers typically put in orders for the first three issues of a series before #1 even hits stands. Diamond is notorious for shorting stores and sending damaged copies. If replacements are needed, stores have to wait for them; another week if they’re lucky, usually longer. The biggest publishers have their books at the front of Previews while smaller publishers are buried in the back, and in 2009, Diamond made it even more challenging for small publishers by raising its ordering minimum from $1,500 to $2,500, dropping books that didn’t hit that number. Something needs to change in comic-book distribution, but with no other competition, there’s nothing pushing Diamond to break from outdated practices that stifle the growth of comic-book retailers. TKO is side-stepping Diamond entirely, putting a retailer portal on its website where comic-shops can order books. TKO offers retailers a 50 percent discount on all purchases with free shipping to U.S. stores. International vendors pay for shipping, which varies on a case-by-case basis depending on weight. Books shipped in the U.S. typically arrive within two to five business days instead of weeks or months—eight to 12 business days for international shipping—and TKO uses its Twitter feed to promote stores that stock its books. Even though the publisher sells directly to readers, it recognizes how important it is to have its titles in comic shops and the role they play in marketing to new customers. I was initially confused by TKO’s decision to publish both box sets and collections, but after spending time with both, having different formats makes sense. It’s a shame that the paperback collections don’t include the cover art for the individual issues, but that’s an added incentive for readers to pick up the single issue box sets, which are also more expensive. Because comics can be read so much faster than novels, picking up a trade can feel like a commitment to read the entire book in that sitting. Single issues are their own individual pieces of literature, which changes how you engage with them. When I read the single issues, I found myself leaving more time between chapters, allowing me to absorb and think about what I consumed rather than immediately jumping into the next part. TKO traffics in genre comics, with its debut line-up featuring a pulpy action-adventure (The Fearsome Doctor Fang), hard-boiled mystery (Goodnight Paradise), tense wartime drama (Sara), and grisly Western (The 7 Deadly Sins). 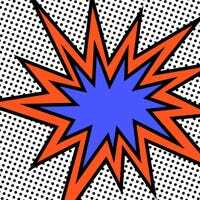 TKO is wisely steering clear of superheroes or a shared universe, instead giving creators the opportunity to tell self-contained stories in the genres that appeal to them most. Its four launch books were immediately available once the publisher went public, and it helped TKO gain quick momentum by letting readers and retailers check out its titles right away rather than waiting for a debut rollout. TKO isn’t saturating the market with new titles. The next crop of TKO books is currently slated to debut in late spring/early summer, giving the publisher plenty of time to gauge interest and build an audience before releasing four new series, which have already been announced to provide a clear idea of the company’s future direction. Those titles include Roxane Gay and Ming Doyle’s multi-generational heist thriller, The Banks; Jeff Lemire and Gabriel Hernandez Walta’s space-faring sci-fi, Sentient; Salvatore Simeone, Steven Simeone, and Nik Virella’s monstrous horror story, Eve Of Extinction; and Natalie Chaidez and Andy Belanger’s MMA-infused action tale, Pound For Pound. These titles significantly diversify TKO’s creator line-up with female writers and artists while also expanding its genre scope, and the publisher has already started teasing these upcoming releases on social media. The standout titles of TKO’s launch come from comic-book veterans, with Goodnight Paradise and Sara delivering hard-hitting stories about tragic figures with very different personal missions. Goodnight Paradise is the only TKO title by a writer-artist team that has worked together in the past, reuniting the creators behind Vertigo’s Unknown Soldier, Joshua Dysart and Alberto Ponticelli, for a crime yarn set in the rapidly changing environment of present-day Venice Beach. Centered on an alcoholic, mentally ill homeless man who becomes obsessed with solving the murder of a young woman, the book is a savage takedown of a society that prioritizes profit over people. Dysart crafts a story that works as a painful family drama, twisty mystery, and powerful social critique, cultivating a lot of empathy for Eddie and the rest of the homeless population in Venice Beach and Los Angeles’ Skid Row. Ponticelli has a talent for harsh, jagged visuals, and he amplifies the dark side of the sun-drenched setting to create an unsettling atmosphere that intensifies as Eddie’s investigation continues. Joined by colorist Giulia Brusco and letterer Steve Wands, Dysart and Ponticelli tell a chilling narrative that speaks to the state of many major cities and the vicious inequality that breaks the spirits of those in desperate need. The book admonishes companies that swoop into impoverished areas and kick out the existing population to create their campuses, developers that take advantage of corporate invaders to get rich, and landlords that turn affordable housing into Airbnb rentals, folding this larger commentary into the story of one man’s need to make a grand gesture that will bring him peace. All of TKO’s releases have some element of socio-political critique baked into them, with Sara exploring how Soviet leaders take advantage of the hardships of their citizens to bolster their military might in the fight against the Nazis. Garth Ennis has a reputation for writing meticulously researched war comics, and Sara is a fictionalized World War II story inspired by real-life female Russian sharpshooters. Focusing on a group of women is a departure for Ennis, whose work is typically steeped in male experiences, and he works with artist Steve Epting, colorist Elizabeth Breitweiser, and letterer Rob Steen to create a heartbreaking character study about what one woman will sacrifice in the name of her country. The level of specificity in Ennis’ writing carries over to Epting’s art, presenting equipment, weaponry, vehicles, and living quarters in crisp detail that puts the reader deep within the soldiers’ experiences. Reuniting Epting with his Velvet collaborator elevates the linework with delicate rendering that adds an element of beauty to the frigid battlefields, but severe shadows keep the tone ominous. Paranoia and fear are two of the dominant emotions in this story, and the creative team excels at making the reader feel like death is always looming right around the next page turn. This danger is enriched by the tenderness of the friendships between the sharpshooters, and when characters inevitably fall, there’s an acute sense of loss that follows. The 7 Deadly Sins is TKO co-publisher Tze Chun’s first comic-book work, and while he takes to the medium well in terms of the pacing of his scripts and giving his art team the opportunity to carry the story, the narrative falters in some of its characterizations. Following a group of six death row criminals and the priest who frees them to undertake a suicide mission in Comanche territory, the book is a fiery exploration of cruelty and racism in the post-Civil War southwest, but Chun relies on some unfortunate stereotypes and doesn’t fully develop the central ensemble. The title suggests that each member of the septet represents one of the deadly sins, but those connections aren’t especially clear. The most obvious one is also the most offensive, with the obese character of Hogg representing gluttony. He’s in prison for cannibalizing his fellow soldiers, and for most of the book he’s either eating or talking about eating. Very little attention is given to his interior life, reducing the character to a base desire that makes him especially shallow when compared to his fellow criminals. Where The 7 Deadly Sins shines is in the artwork by Artyom Trakhanov, colorist Giulia Brusco, and letterer Jared K. Fletcher. Trakhanov’s thick lines and gritty textures give the visuals a weathered look while Brusco’s coloring adds energy to the page with vibrant palettes that emphasize the expressionistic aspects of the art. Trakhanov is an artist who deserves a lot more attention, and The 7 Deadly Sins spotlights the range of his characterizations, the immersion of his settings, and the ferocious power of his action sequences. It’s a stunning book, and Trakhanov and Brusco’s work makes it a worthwhile read despite the story’s shortcomings. The 7 Deadly Sins and Goodnight Paradise are also outstanding showcases for Brusco’s skills, and her coloring for the past scenes in Goodnight Paradise is much more rendered than her work on The 7 Deadly Sins. She uses a flatter coloring style for the flashbacks in Goodnight Paradise, smoothing out the imagery to reinforce the roughness when the story jumps back to the present-day. Chun is also the co-writer of The Fearsome Doctor Fang with Mike Weiss, a globe-trotting adventure that dismantles ethnic stereotypes with its titular character, an internationally infamous villain in the mold of Fu Manchu who is actually a force for good hiding behind a terrifying mask. Featuring art by Dan McDaid, colors by Daniela Miwa, and letters by Steve Wands, The Fearsome Doctor Fang enthusiastically embraces pulp tradition in its storytelling, making it the most fun of TKO’s debut titles. It aims for high-flying thrills and accomplishes exactly what it sets out to do, taking readers from early 20th century San Francisco to Shanghai as a trio of unlikely allies try to stop a mad scientist from unleashing a cataclysmic weapon created by Kublai Khan. McDaid has proven himself adept at a wide variety of genres with his work on books like Catalyst Comix, Judge Dredd, Dawn Of The Planet Of The Apes, and Boom! Studios’ current Firefly series, and his visuals imbue The Fearsome Doctor Fang’s pulp adventure with excitement and imagination. Miwa’s pastel coloring accentuates the bright, lively spirit of the story, with minimal rendering to keep the focus on McDaid’s lush inks. There’s much more flexibility with layouts in McDaid’s artwork compared to the other TKO launch titles, and he doesn’t restrict himself to conventional rectangular panels. He’ll use circular panels to make action radiate outward, and eliminate borders during a fight scene to make the force of the fisticuffs push the characters across the page. No matter how much a company experiments with publishing and distribution tactics, it lives and dies based on the quality of its books. 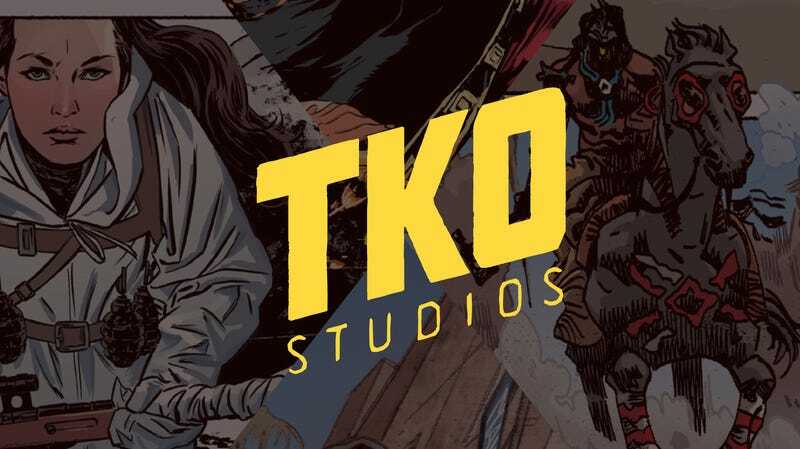 TKO’s editor-in-chief, Sebastian Girner, and head of creator outreach, Cara McKenney, have brought on exceptional talent for the studio’s comics, and TKO’s debut line-up reveals a commitment to high production values and confident, engaging creative perspectives. The future of the publisher is especially promising as it brings in new award-winning talent, and while it’s too early to tell what kind of impact TKO will make on the larger industry, it champions progressive ideas that have the potential to transform how comics are distributed, purchased, and read.